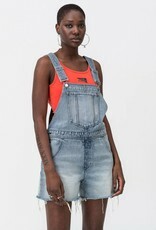 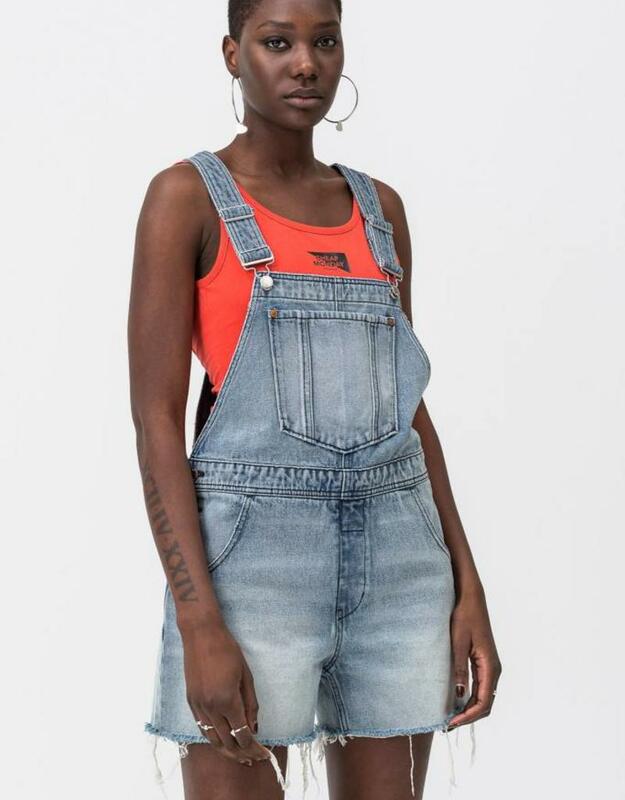 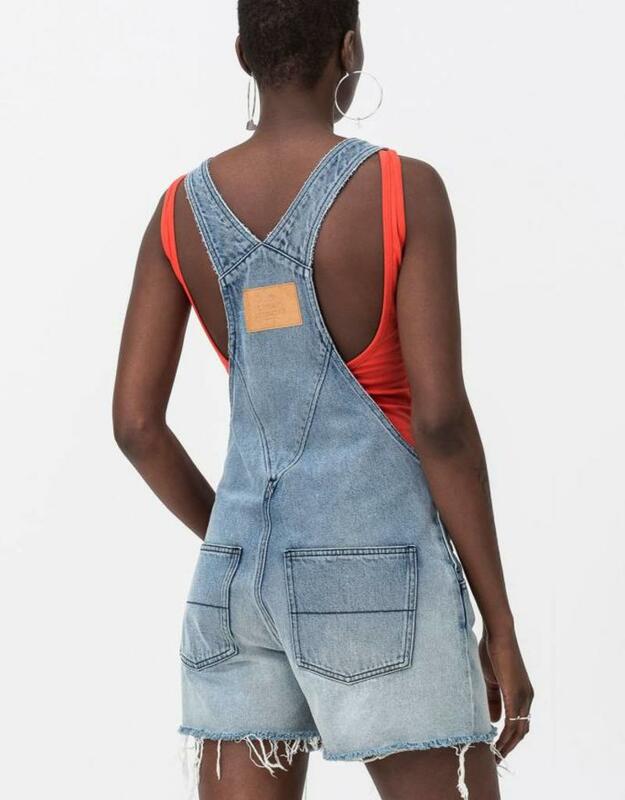 hore Dungaree is a 90's style dungaree cut from rigid fabric for an authentic look. 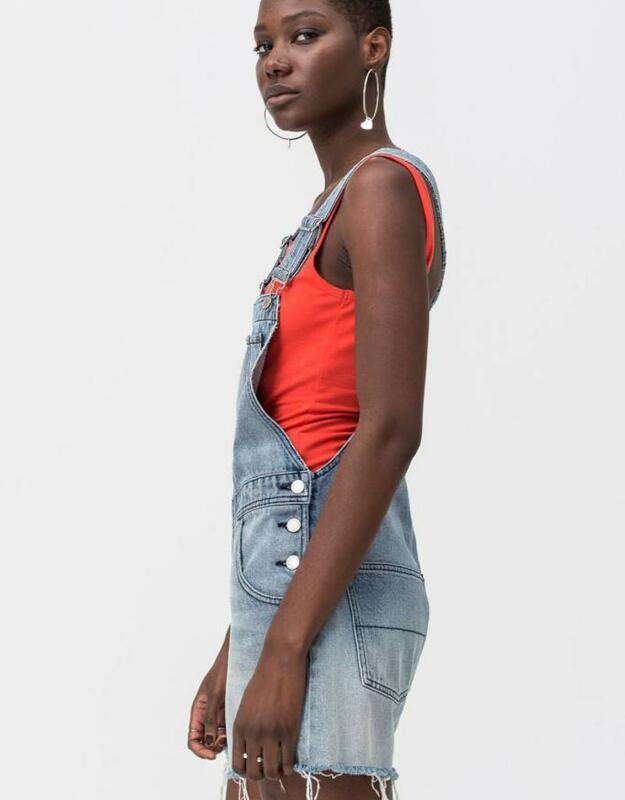 A slightly roomy fit with cut off legs. 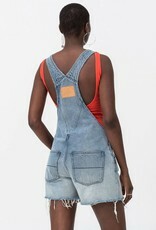 Measurements: Across waist 45 cm, Front rise 24,5 cm, Leg opening 31 cm, Inseam 10 cm (size S).